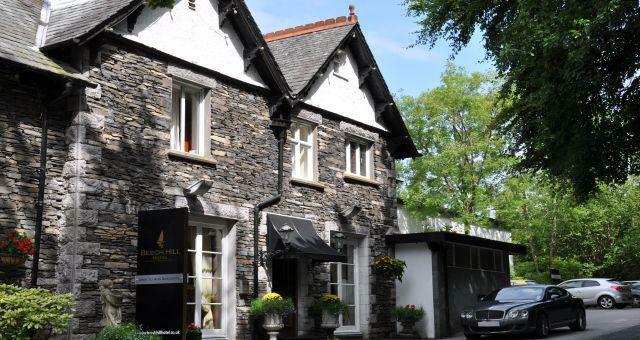 Beech Hill Hotel015394 42137work015394 43745fax HotelThe Beech Hill Hotel boasts one of the most beautiful locations in the Lake District, right on the banks of the lake with spectacular views across the water to the Lakeland fells beyond. The hotel has been tastefully refurbished and modernised to a high standard but maintains the atmosphere of a country house hotel. We have 57 bedrooms, a mixture of classic, select, select plus, premier and premier plus rooms of which 52 overlook the lake. All bedrooms have private facilities, TV, telephone and welcome tray. Some rooms offer garden terraces or balcony, spa baths and feature beds. Rooms are available for check-in from 15.00 and check-out time is 11.00. Our leisure facilities offer use of an indoor heated swimming pool and solarium throughout your stay, open 07.00 to 21.00. Our warm and inviting lounge with its log fire, comfy sofas and large terrace overlooking the lake, offer lunches, afternoon tea, drinks, cocktails and luxury coffees. The beautifully refurbished Burlington's restaurant with stunning lake views offers a choice of two menus prepared and served by our 2 AA rosette-awarded team, using the highest quality local and seasonal ingredients. Our traditional style, 3-course menu The Simple taste of the Lakes and our 5-course Gourmet Taste of the Lakes menu. Table reservations are recommended and our dress code is smart casual. 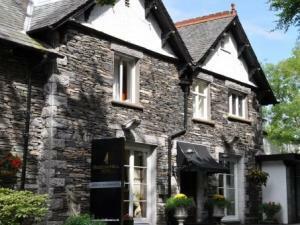 Beech Hill Hotel sometimes limits bookings to 2 or more days. 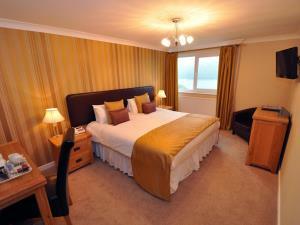 Double room, en suite with bath and shower, lake view available on request. Ensuite room with bath and shower. Most offer a partial Lake view. Generally everything is very good and deserves a high rating. Only two small criticisms: The restaurant food is very good, but slightly over priced. We only had the full menu on two of our four nights there. If dining there hadn't seemed so extravagant we would have made it three times. The scuffed carpet on the stairs as you come in from the car park gives an initial impression of scruffiness. The Beech Hill Hotel boasts one of the most beautiful locations in the Lake District, right on the banks of the lake with spectacular views across the water to the Lakeland fells beyond. The hotel has been tastefully refurbished and modernised to a high standard but maintains the atmosphere of a country house hotel. We look forward to extending a warm Beech Hill welcome to you in the very near future. Stunning edge of the lake location with terraced gardens and private jetties. Indoor heated swimming pool and solarium. Children welcome from any age. Leave the M6 at jct 36 to The Lakes. Follow A590 towards Barrow. At Newby Bridge take the A592 towards Windermere. Beech Hill is on your left. Nearest train station is Windermere, 5 miles from Beech Hill. The hotel has not been adapted for wheelchair users, however we do our best to ensure any guest with a disability is provided with ramps where needed and any other assistance when requested.